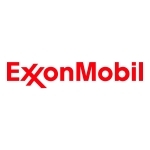 IRVING, Texas–(BUSINESS WIRE)–Exxon Mobil Corporation (NYSE:XOM) said today it will more than double its Permian Basin resource to 6 billion barrels of oil equivalent through the acquisition of companies owned by the Bass family of Fort Worth, Texas, with an estimated resource of 3.4 billion barrels of oil equivalent in New Mexico’s Delaware Basin, a highly prolific, oil-prone section of the Permian Basin. ExxonMobil will make an upfront payment of $5.6 billion in ExxonMobil shares, and a series of additional contingent cash payments totaling up to $1 billion, to be paid beginning in 2020 and ending no later than 2032 commensurate with the development of the resource. Darren W. Woods, ExxonMobil chairman and chief executive officer, said the high-quality properties are a major addition to ExxonMobil’s unconventional liquids portfolio managed by its subsidiary, XTO Energy Inc.
“This acquisition strengthens ExxonMobil’s significant presence in the dominant U.S. growth area for onshore oil production,” said Woods. “This investment gives us an exceptional Delaware Basin position in a proven multi-stacked play that can generate attractive returns in a low-price environment. The acquired companies, which include the operating entity BOPCO, hold about 275,000 acres of leasehold, and production of more than 18,000 net oil equivalent barrels per day, about 70 percent of which is liquids. This includes about 250,000 acres of leasehold in the Permian Basin, the bulk of that in contiguous, held-by-production units in the New Mexico Delaware Basin, with more than 60 billion barrels of oil equivalent estimated in place. The companies also hold producing acreage in other areas in the United States. CAUTIONARY STATEMENT: Statements of future events or conditions in this release are forward-looking statements. Actual future results, including project plans and schedules, resource recoveries, production rates and cost and performance efficiencies could differ materially due to changes in market conditions affecting the oil and gas industry or long-term oil and gas price levels; political or regulatory developments; reservoir performance; the outcome of future exploration and development efforts; technical or operating factors; and other factors cited in under the caption “Factors Affecting Future Results” on the Investors page of our website at exxonmobil.com. Closing of the acquisition is subject to satisfaction of conditions precedent specified in the applicable agreement. References to resources, oil-equivalent barrels and other quantities of oil and gas include amounts that are not yet classified as proved reserves under SEC definitions but that we believe will ultimately be produced and moved into the proved reserve category.